Don’t place the order, if IMEI starts from 99. You will not find any place to enter the code. Supported Models: All ZTE of all countries – except Tracfone, Net10, SafeLink, StraightTalk and Sprint USA. Also, don’t order an unlock code for the latest ZTE phones which comes from T-Mobile and MetroPCS, if it has “Device Unlock” app installed. You need to order “Device Unlock App”. It will be unlocked, have to change the firmware. After paying the amount, you will get by email. Cost is mentioned above. Current price is 6USD. Will cost 6USD. You can place the order. i have unlocked my ate router but its showing limited service on other networks. zet n9137b01 iimei starts 9900 its posiable to unlock ?????????? If the device prompts for ‘sim network unlock pin’ after changing the simcard and attempts are left to enter the code then only place the order. Very rare chances that codes will be available. Hi i have ZLT P11 which is made for chinamobile is possible i can unlock for using any sim? Can I unlock zte 970 ufi showing “NO SERVICE”? It is should prompt for code and attempts should be left to enter the code, then only can be unlocked. PLS HOW MUCH IS ZTE MF920VS?? Single device will cost 10USD. For unlimited it will cost 100USD. After unlock also NTEL will not work. ZTE MF920VS can it be unlocked? Let me know it is locked to which country and network. hi, is possible to unlock Vodafone ZTE R218? Yes, all ZTE are supported it it prompts for NCK code and attempts are left to enter the code. How much is ZTE MF920VS MTN Nigeria? Will cost 10USD, have to change the firmware. How much is ZTE MF920TS Orange Ivory Cost (Côte d’Ivoire) ? Without IMEI, I can’t provide any code. 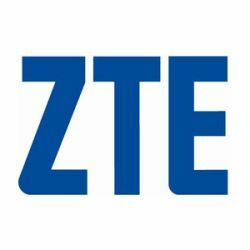 If it prompt for unlock code and attempts are left then all ZTE are supported. Took a little longer than 24 hours but the code works 🙂 i still had to figure out how/where to enter the information (using an IP adress via web browser). If the device prompts for NCK after changing the simcard and attempts are left to enter the code then it will be unlocked. If the device prompts for unlock code and attempts are left to enter then you can place the order.